a nice large mouth my sister caught while up in st. louis a few weeks ago. caught on an artificial worm. this is a wall mounter for the st. louis area and a big bass in any area! way 2 go brit! 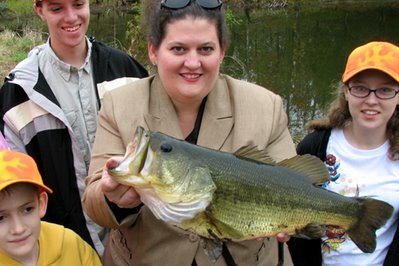 That is one big bass, Sissy!! Way to go! !